Toyota says it will use a software update to fix an issue with some Prius models, saying certain conditions could result in their unexpectedly stalling. 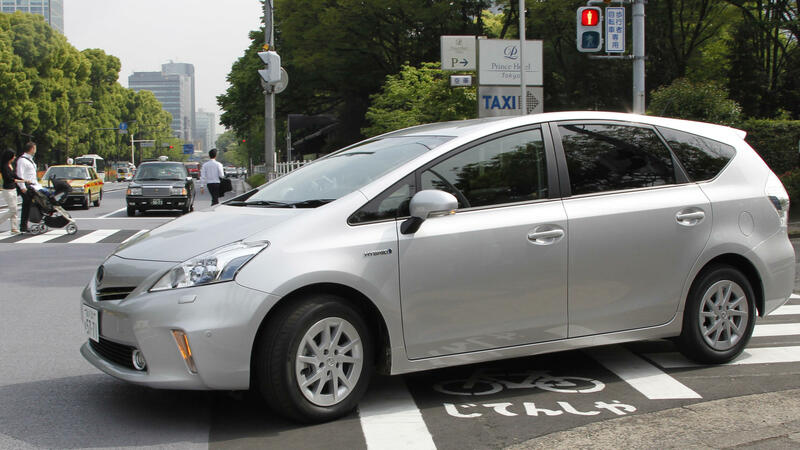 Here, a Prius is seen during a test drive in Tokyo in 2011. The recall addresses the way the vehicles respond if their hybrid systems hit problems. The cars are designed to enter a fail-safe or "limp home" driving mode if the hybrid system overheats or develops other issues. "We've found that in rare situations, the vehicle may not enter a fail-safe driving mode as intended," Tania Saldana, a Toyota spokeswoman, said in an email to NPR. "If this occurs, the vehicle could lose power and stall." When asked whether any crashes had been reported because of the issue, Toyota offered no comment. Toyota's new recall covers about 2.43 million Prius cars worldwide, including more than 1 million that were sold in Japan and nearly 300,000 in Europe, according to Automotive News. To fix the problem, Toyota will update software in the vehicles. The company says its dealers will contact affected Prius owners when the software is available. The company says the issue differs from problems with the Prius fail-safe mode that were addressed in the 2014 and 2015 recalls. Those problems were also fixed by software updates to vehicles' motor electronic control units and hybrid drive ECUs. To see whether your vehicle is mentioned in a safety recall, you can check the National Highway Traffic Safety Administration's site.